Dental Emergency—ER vs. Dental Office? We know that making fast decisions is part of any dental emergency, and one of the biggest decisions people face in these situations is whether or not to call a dentist or whether to visit their local emergency room. We have reviewed several online American Dental Association (ADA) articles in an attempt to help you decide: Emergency Room or Dental Office? According to a 2012 study by the ADA, ER dental visits doubled nationwide from 2000 to 2010, going from 1.1 million to 2.1 million (“MyView: Emergency room is no place for a toothache”). The above article sites a study done by Rutgers School of Dental Medicine that found that uninsured young adults, ages 19 to 34, and low-income residents have the highest number of ER visits for dental pain and infections that aren’t related to trauma. Another ADA article, “From the Emergency Room to the Dental Chair,” claims that while this is more a problem for those in lower income brackets, it affects people across the economic spectrum, especially as increasing numbers of adults forgo regular dental care. While economics, possible insurance issues, or a lack of routine dental visits may precipitate an ER visit, there are multiple problems with using the ER for dental emergencies. According to the article, “MyView: Emergency room is no place for a toothache,” ERs lack appropriate diagnostic equipment and tools — such as dental X-ray machines. The article adds that ER physicians aren’t trained to identify and treat oral health problems. And while they can prescribe painkillers and antibiotics for infections, this does not treat the underlying problem. The ADA article, “Florida Dental School Gets People out of the ER and into the Dental Chair,” explains that when the underlying problem is not addressed, the problem worsens, which often leads to repeat ER visits. Furthermore, if a toothache doesn’t involve swelling, the hospital will simply tell the patient that they do not need to be admitted, but that they should report the next day to the dentist. An additional article, “Emergency Department Use for Dental Conditions Continues to Increase,” says that it is these community settings that allow for needed continuity of dental care as well. Interestingly, while finances or a lack of insurance may be a big reason why many people use the ER for dental emergencies, ER services can actually be more expensive. The article, “MyView: Emergency room is no place for a toothache,” reports that it may cost $1,500 to get a tooth pulled in the ER, while a dentist may only charge $150 for the same procedure. Not only can ER visits be more expensive for dental emergencies–they also put a large financial toll on the community. In 2012, ER dental visits cost the U.S. health care system $1.6 billion, with an average cost of $749 per visit, says the article, “Emergency Department Use for Dental Conditions Continues to Increase.” The same article sites an analysis in Maryland that estimates that the state Medicaid program could save up to $4 million each year if these ER visits were diverted to dental offices. The article, “From the Emergency Room to the Dental Chair,” claims that most instances of decay could have been prevented among the large, recent increase of patients utilizing ER dental services. “MyView: Emergency room is no place for a toothache,” adds that regular dental visits can prevent such emergencies for a fraction of the cost to patients and taxpayers. In summary, while the ER might seem an attractive option for your next dental emergency, there are multiple problems with ER dental visits. ER dental services are ineffective both because of inadequate equipment and because staff are not trained to identify and treat oral health problems. And while they might be able to prescribe antibiotics and painkillers, they cannot treat the underlying problem. ER dental visits are also often more expensive both to the patient, and definitely to the taxpayer. 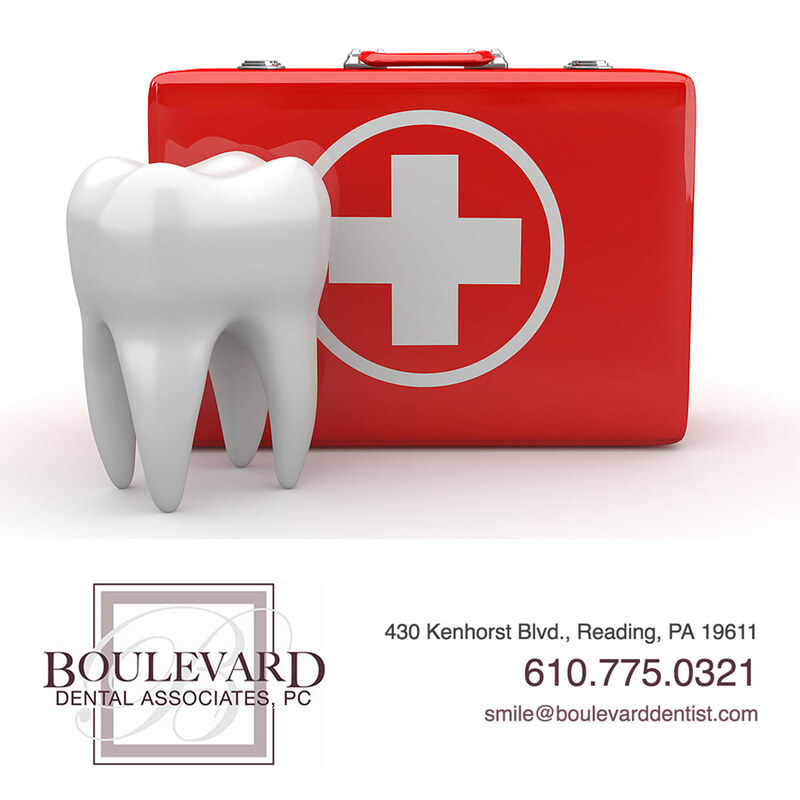 Our strong recommendation is that you visit your local dentist in the case of a dental emergency. And even beyond that, we’d love to see you avoid that dental emergency in the first place and save yourself much hassle and money with regular, routine dental visits. You won’t regret it!